NEW YORK, May 27, 2014 /PRNewswire-USNewswire/ — A recent New Zealand study published in the American Journal of Public Health, which claims to exonerate a link between fluoride and lowered IQ, is scientifically flawed and reveals blatant examiner bias, says the Fluoride Action Network (FAN). Before we get to the very exciting news about the enthusiastic response to our appeal for groups to join the Worldwide Alliance to End fluoridation, we start with a few other items. 1) We have some disappointing news from New Zealand. Sadly, the councilors in Hamilton, New Zealand voted to restart fluoridation. The group Fluoride Free Hamilton has responded to the vote with a press release, and the vote may now be facing a judicial review. 2) Here is a link to a 30 minute interview on Pacifica Radio out of Berkeley, California featuring spokespersons from three of the groups in the Worldwide Alliance: Jay Sanders (Clean Water California), Arlene Goetze (Say No To Poison, Sunnyvale, California and Paul Connett (Fluoride Action Network). The response to our bulletin requesting groups fighting fluoridation to join the Worldwide Alliance to End Fluoridation has been fantastic. We have had over 50 more groups from 12 countries join the Alliance since we sent out the announcement last week. Below is the updated list of the Founding Member groups of the Worldwide Alliance to End Fluoridation. We are working on a separate list of individuals and businesses supporting the Alliance. If your group has a website or Facebook page please email the links to stuart@fluoridealert.org. We would like to include this information on the official alliance list that will soon be found at www.fluoridealert.org .Thank you again to everyone who has signed on and for everything else you are all doing to end this unethical and reckless practice around the world. ENGLAND * Birmingham Against Fluoridation. Contact: Lynne Habermacher. Dental Amalgam Mercury Solutions (DAMS). Contact: Leo Cashman, <dams@usfamily.net>. Path Forward Group (St. Louis, Mo). Contact: Rose A. Jenkins, plasma@brick.net. Public Notice on Water Fluoridation (Massachusetts). Contact: Michael F. Dolan, mdolan.ecsn@outlook.com. The Fluoride Action Network is excited to announce the launch of the FAN Study Tracker, the most up-to-date and comprehensive source for fluoride health research, including studies investigating how fluoride affects the brain (e.g., IQ scores), the bones/joints (e.g., arthritis), the cardiovascular system, the kidneys, and the thyroid gland. • Over 1,500 abstracts and over 400 full-text studies. • Filters that enable 80+ years of research to be organized by health category/subcategory, study type, and date. • FAN’s entire set of translated studies, including over 25 new translations that have not previously been released. • A “Related Content” feature that provides links to relevant FAN content for each study. • 845 studies since 2000, including 181 studies since 2013. • 456 studies on the skeletal system, including 76 studies on arthritis. • 294 studies on the mechanisms by which fluoride damages cells, including 155 on oxidative stress. • 237 studies on the brain, including 95 studies on cognitive function. • 182 studies on the kidneys, including 64 studies on the heightened risks faced by kidney patients. These numbers will continue to grow as new research is published, and new features will continue to be added. FAN is committed to improving public awareness about the risks that fluoride poses to human health. We believe the Study-Tracker will help in this effort by making the science on fluoride toxicity more readily available than ever before. For information about how to use the Study Tracker, we put together the following video: http://www.youtube.com/watch?v=flhSYK-TKI4. And now, without further ado, the FAN Study Tracker. *NOTE about SAFARI BROWSER: It has come to our attention that the Study Tracker is not currently working properly in Safari browser. We are currently working to fix this problem and recommend, in the meantime, that you use another browser (e.g. Firefox or Chrome) to access the Tracker. Sodium fluoride, sodium silicofluoride and hydrofluorosilicic acid are all used in dental offices, toothpaste and water fluoridation practices. They are toxic waste substances created from the creation processes in the fertilizer, steel, nuclear and aluminum industries. More than 200 million Americans today are forcibly exposed to toxic fluoride through their public water supplies, and many more are exposed through the general food supply, much of which is made and processed with fluoridated water. And aside from installing a whole-house reverse osmosis water filtration system and growing all your own food at home, there is little that can be done to avoid fluoride exposure in some capacity. DURHAM, N.C. (WTVD) — Corey Sturmer didn’t know much about fluoride in his drinking water until a year ago, when his dentist told him he has fluorisis, a condition that causes white spotting, yellowing and browning of the teeth, and erosion of the enamel. 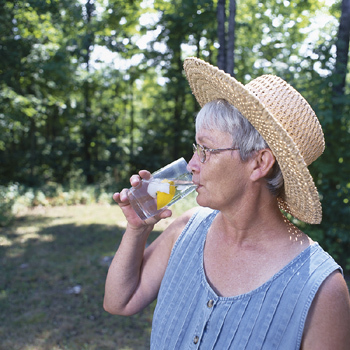 “I asked my dentist … is there fluoride in the drinking water? And he said, yeah … it’s good for your teeth. So then I began to wonder, if it’s so good for your teeth, why am I, at 25 years old, having all these issues with my teeth?” Sturmer said. Sturmer was a college athlete. He eats healthy food and exercises. He started doing research and found evidence that convinced him fluoride might not be as safe as he was led to believe. He came across an I-Team story ABC11 did five years ago in which a Durham dentist told us he believed we’re getting too much Fluoride. 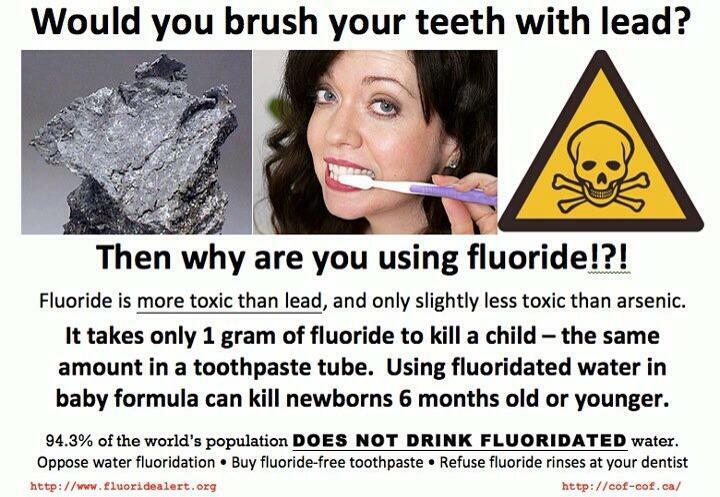 “Fluoride in the water is essentially a drug. It’s an uncontrolled use of a drug,” offered dentist Michael Fleming. “That motivated me to reach to you and to continue spreading the word and building up the website and talking to people,” said Sturmer. Sturmer developed a www.durhamagainstfluoride.com website and took his cause to the Durham County Health Department. He’s also raising awareness by putting information on cars in downtown Durham. Sturmer said he’s so concerned about the issue that he filters his tap water. His crusade may be limited to Durham, but he’s not alone in his fight. A movement to ban fluoride in drinking water is heating up across the country. “Our task was essentially one of just education. Myself, I thought fluoride was a good thing not long ago,” explained Jonathan Hall with Wichitans Opposed to Fluoride. The I-Team discovered most western countries do not fluoridate their water. Dental records kept by the World Health Organization show tooth decay in those countries has declined at the same rate as here in the United States – where we do fluoridate our water. The American Dental Association has endorsed fluoridation since it began in this country more than 50 years ago. Six years ago, the ADA thought infants might be getting too much fluoride and it warned parents not to use fluoridated water – but bottled water – to mix baby formula. Dentists also want to make sure children don’t get too much when they brush their teeth. “That is why we currently recommend a smear or a grain-sized amount. So a very small amount in a child from the time they first get their teeth – which is six months to a year – until they turn 3. And then at 3, the recommendation is to go to more of a pea-sized amount so there’s a little bit more,” Dr. Wright explained. The EPA doesn’t believe the amount of fluoride in water is causing harm. It has not changed fluoride standards for drinking water more than six years after the report by The National Academy of Sciences, and that frustrates scientist Kathleen Thiessen. “There probably never was a beneficial effect. Certainly by now when we have fluoride in toothpaste, we have fluoride in mouth rinse, we have fluoride in a number of sources. 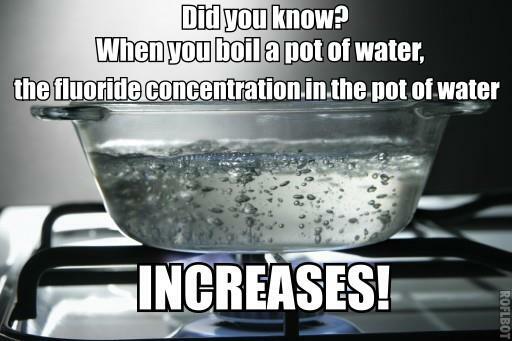 It is extremely easy to have too much fluoride. It’s much harder to control it,” she said. “I think all city governments … need to reconsider water fluoridation. The science is out there, the citizens who are concerned are out there, and they are making their voices known,” said Sturmer. The National Institutes of Health – for the first time ever – is currently funding an animal study to assess fluoride’s effect on the brain. This is very long and may not get read by too many people. I suggest you edit it for future posting. Also it would be good (I would appreciate it) if you would identify yourself by name. As the page on Fluoride is very long, this might be better posted as a blog post when it is abbreviated and edited. I am approving it for the benefit of those who may end up finding and reading it.